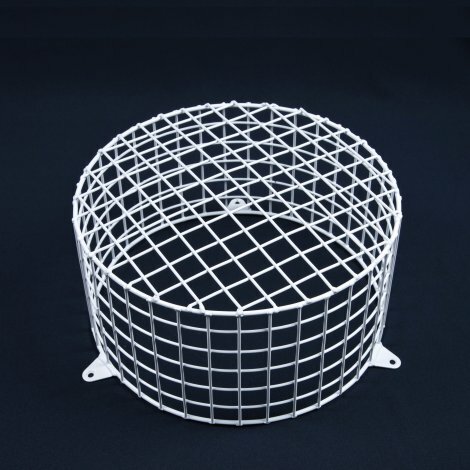 AIANO FLMAXI wire mesh bulkhead guard is a robust guard designed to fit many popular makes of large bulkhead fixture for wall or ceiling mounting. 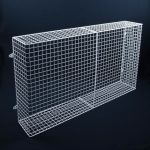 The FLMAXI security lighting guard is hot-dip galvanised to provide maximum protection against corrosion, making it suitable for outdoor use. 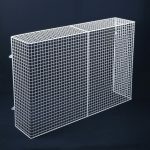 The AIANO FLMAXI wire mesh bulkhead guard is a large standard bulkhead guard, which means that it will suit many popular large bulkhead models. 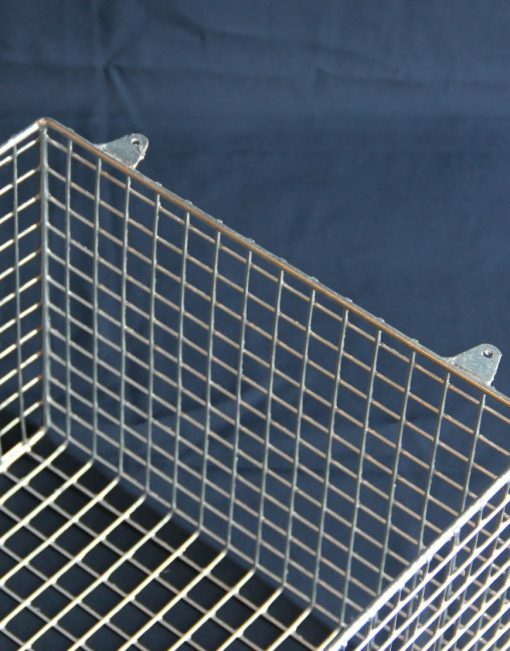 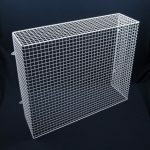 These sturdy five-sided bulkhead cages are made from steel weld mesh on a strong round bar frame, and are hot-dip galvanised. 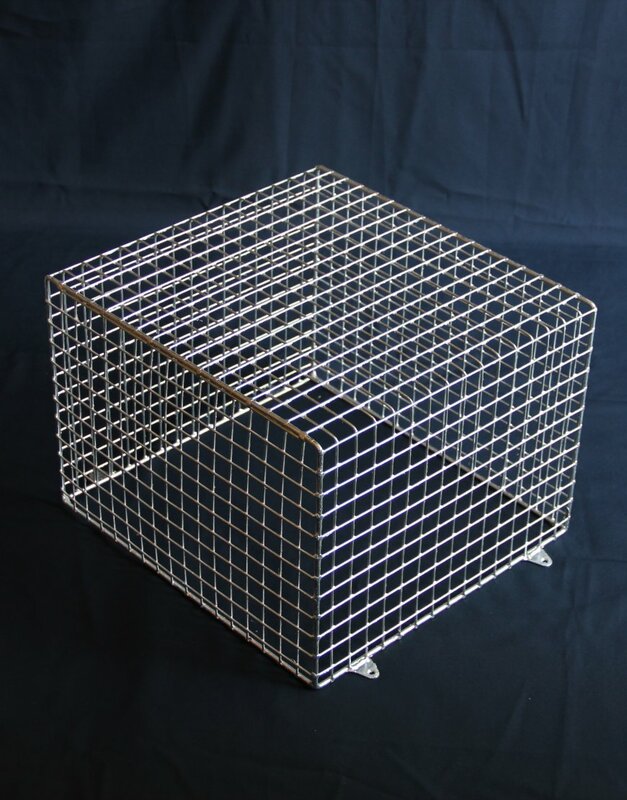 It is suitable for all kinds of bulkhead including LED lighting. 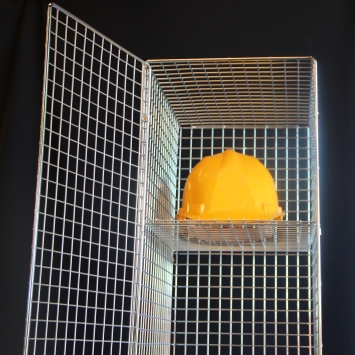 The guards have welded lugs for fixing to the wall or ceiling. 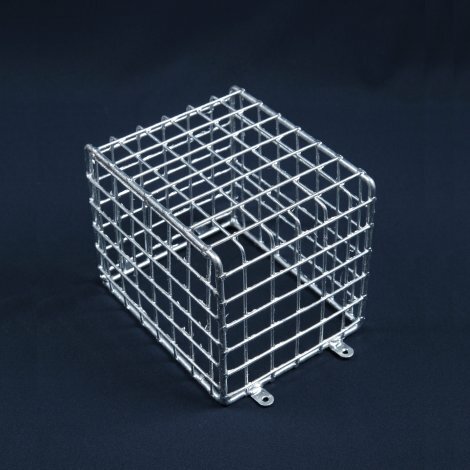 The FLMAXI bulkhead cage will completely enclose your light fitting and provide protection from damage in a wide variety of environments including housing association buildings, schools, sports facilities, stations and car parks. Which guard size? 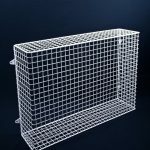 Unlike radiator guards, for light guards there is no strict rule about the clearance required between the light fitting and the guard. 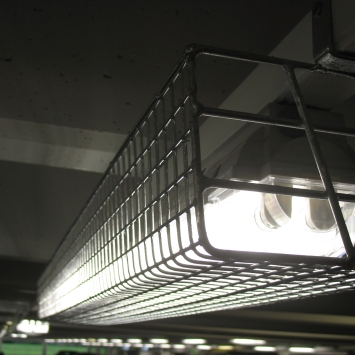 For most standard types of light fitting it is recommended that there be clearance of about 30-50mm between the light fitting and the guard. 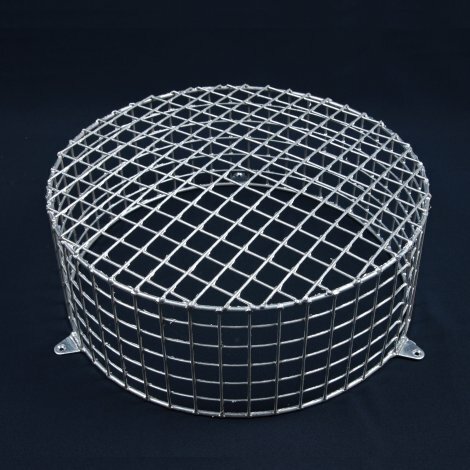 Compatibility: AIANO FLMAXI wire mesh bulkhead guard is designed to fit many popular makes of large bulkhead fitting. 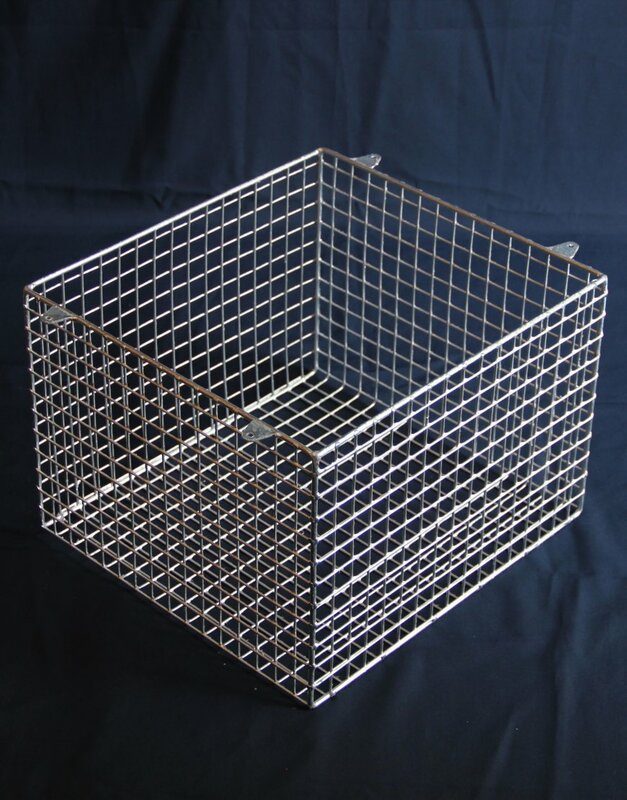 It is important to check the dimensions of your light fixture before purchasing a bulkhead cage.